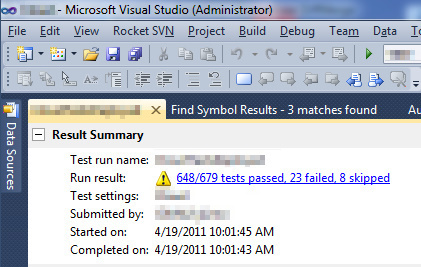 I've been working on some performance tuning of .Net tests in Visual Studio 2010. My tests now complete before they start. Awesome!